For Dr. Freda Miller, CAN is not just an acronym, it is a philosophy. 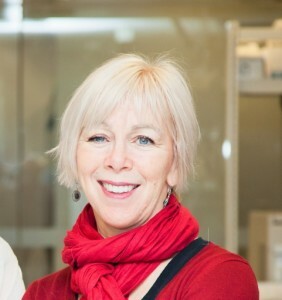 She is currently a senior scientist at the Hospital for Sick Children in Toronto, a Professor at the University of Toronto, a Howard Hughes Medical Institute International Research Scholar, a Canada Research Chair in Developmental Neurobiology, a Fellow of the Royal Society of Canada and a Fellow of the American Association for the Advancement of Science. Dr. Miller’s accolades come as a result of her work on neuronal growth, survival, and apoptosis as well as dermal and neural stem cells. She has contributed to over a hundred peer-reviewed publications, reviews and book chapters. Her innovative methods also have led to 15 issued and pending patents. She has also gained media attention thanks to her discovery of stems cells in the skin that can form neural cells. This work may one day be able to assist those suffering from brain injuries and possibly degenerative diseases. In addition to her successes in the neuroscience field, Dr. Miller has proven herself in other realms. She currently holds a third dan black belt in Taekwondo, is a member of a successful chamber choir, and finds comfort playing the piano. Not surprisingly, she is always the life of a party. Using her own experience as an example, Dr. Miller aims to take CAN to new heights and arenas. Through a combination of communication and advocacy, her term will be focused on making CAN a national and international influencer trusted by the government, funding authorities, and the public. Johnston A.P.W., Yuzwa S.A., Carr M.J., Mahmud N., Storer M.A., Krause M.P., Jones K., Paul S., Kaplan D.R., and Miller F.D. Dedifferentiated Schwann cell precursors secreting paracrine factors are required for regeneration of the mammalian digit tip. Cell Stem Cell, early online publication – http://dx.doi.org/10.1016/j.stem.2016.06.002 (2016).